A singing voice that is healthy can be able to make the heart dance. You can now discover a singer within you. A common thought that normally strikes one’s mind several times, is how one can have a unique singing voice. There has been an introduction of various ways to assist voices of individuals improve in pitch or tone. Did you ever get around to seeing the singing reality shows like American Idol and America’s Got Talent? Well, they come with some great talent. Of course, you always get a mixed bunch. So you have to sit through some not so great singers too. But it is mind-blowing to see so much of talent out there. 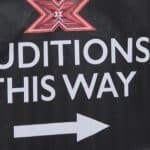 If you feel you ought to be standing there auditioning for great opportunities, then here are a few tips to help you to develop distinctive a singing voice. 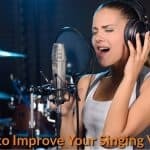 If you want to become a singer with the easily recognizable and unique singing voice, then it is really important for you to know what is meant by singing. Singing is a vocal technique that has a strong blend of music and creativity. This vocal technique tells everything about the fundamentals of singing. 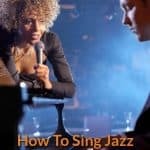 You must know these singing fundamentals that contribute to your voice’s uniqueness. Furthermore, you must learn the suitable tone and voice type that you are able to handle without sacrifice your vocal health as a whole in the long-term. Agreed that some people have inborn talent and god given beautiful voice. But they are really few and far between. Most of the singers have made it through sheer hard work and practice and determination. It is impossible to learn or master the art of singing in a short period of time. It considerably takes long and entails a lot of work. It is thus inevitable that in the original stages, negative criticisms and opinions may be heard. However, this negative comments should not discourage you, but should rather be used for improving and developing your skills. If someone for instance depicts your diction as improper or your pitch as bad, make a point of recording your singing then proceed to listen. It is likely you might agree with their views, but this will aid you to concentrate on your weaker points. A good vocal coach will be able to help you train your voice and teach you to develop the necessary skills required for singing. Understanding what music and singing are all about, strengthening your muscles, getting the beat and rhythm right are all fundamentals of good singing. He/she is the only likely person to analyze your weak points and notice your strong points in professional manner. This will help him to help you overcome your weak spots with exercise and practice and to develop your strong points to increase your confidence level. Even if personal trainers are a bit expensive, they are well worth the trouble. 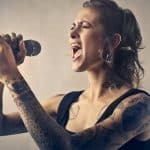 Another alternative is to join some reputable singing course. Vocal range is the range from the lowest note you can sing to the highest note. There are all kinds of voices. Some singers have a very wide range. They will be capable of singing the low register and the high register equally well. Other people stay within a moderate range. And then again some are comfortable with high range and some with the low range. Discovering your vocal range is very important since this is what will help you to choose your songs. Breathing and posture are inter-related while singing. A straight posture allows you to breathe deeply and sing in a full and rounded voice. A bent posture, sitting posture or a twisted posture contribute to wrong breathing resulting in lousy singing. Hence, breathing exercises are a must for a good singer. When singing, it does not matter if you are standing or sitting, but the correct posture is required to ensure voice projection. Standing or sitting in upright positions enhances proper vibration while enabling the air to flow freely throughout the body. One foot should be kept forward with the aim of maintaining balance when singing or sitting. It is not recommendable to slouch or lean backward in the chair. Instead, it is advisable to sit with the back straight, but slightly leaning forward in a manner that seemingly appears like you are almost rising from a chair. Breathe evenly and deeply from the diaphragm by taking long and deep breathes to improve on voice resonance, voice control, and voice building. Thus, it will enable you to sing in full potential. Deep breathing permits the holding of notes for a considerably longer time, particularly the longer notes. Sometimes you may be required to sing certain sentences without any break, and the only exercises that can assist you in doing that are deep breathing. Indulging in deep breathing exercises for ten minutes will considerably improve your singing. The next step will be to learn some nuances of singing like the pronunciation of vowels, like whether to extend the vowel or shorten it and when there are two vowels how should the pronunciation be. This depends on the genre of music you are comfortable in. For instance, a classical singer would lengthen and stress the first vowel and shorten the second vowel and country songs singer would do vice versa. The facts below can assist you to increase and improve your singing voices’ quality in order to develop your own distinct singing voice. • Understand the sounds coming from within your voice. • The vocal cords do vibrate when singing. • The vocal cords are similar to an instrument that is stringed. • The mandolin has to be smaller as compared to the cello. • Therefore, your body shape will definitely affect your sound. • The nasal cavity, tongue and sinuses will determine the way your voice will actually sound. How do you acquire the perfect vocal qualities? How can one develop the distinct singing voice in a way that is very different from others? How do you get a style that is pleasant and very engaging to the people who are listening? This will be easy to understand by going through the following stated points that will enable you produce a better singing voice. • Understand the essential fundamentals of the vocal technique. • Try learning where the tone is produced from. • The sound produced further exudes from the time a singer projects her or his voice and thereafter reaches a point where the voice softens or smooths down. • Then it ultimately fades out wholly. • This is called the resonance. • Resonance comes about when air moves through the vocal cords and hence you will produce the necessary pitch and tone. • It is further carried outwards onto sound waves for better singing voice. • Resonance means what you really hear when singing, by use of the right vocal coordination. • It is important to understand how sound travels also how the human ear hears it. • A sound will always produce a sonic vibration, even though it is a motor vehicle or an instrument producing it. • This sort of vibration does vibrate real air. • After, that it will set out in form of a wave and continue until the moment when it reaches an ear of the listeners. • It transforms the wave produced into a real sound. • It is significant to understand that each vibration produced, involves a timbre. • Timbre is applicable when differentiating a unique sound from others. • Timbre can make a specific instrument distinct and assists to create a distinctive singing voice. Therefore, you should carry on working as a singer, as you also try to improve the quality of your voice by taking singing exercises. This will assist you in creating a unique voice for singing. Try learning how to produce a distinct singing voice and then be a great singer. 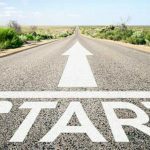 Finally, practice and more practice alone will help you reach your goal. Whatever you do, do it with your full hear and involvement.